SC today reserved verdict after hearing Prashant Bhushan, State and Shahabuddin’s lawyer Shekhar Naphade. Ram Jethmalani does not represent Shahabuddin despite an in-court announcement in this regard by his defence team on Friday. Naphade told the court that though cognisance of the case was taken on February 25, 2015, he had not been served the chargesheet till date — a mandatory requirement under the criminal law. Shifting Shahabuddin from Siwan to Bhagalpur Central Jail also caused the delay, he said adding "It is a conscious attempt on their (Bihar government) part that trial should not proceed. The moment the trial starts it will not stand as there is no evidence of alleged conspiracy against me," Naphade told the court. On Wednesday, the SC had slammed the Bihar government for not being serious in opposing Shahabuddin’s bail in Patna High Court and then rushing to Supreme Court after his release. “Why have you approached the court only after his release? Were you in slumber till he got bail? This is a peculiar case. But the question is this peculiarity has been done at whose instance and who is behind this. Why you did not challenge bail granted to Shahabuddin in 45 cases? Why did you realise only when he came out of jail? If everything was fair, why would this case come to us, the bench asked senior advocate Dinesh Dwivedi who appeared for state of Bihar. Dwivedi had argued that the decision to enlarge the RJD leader was improper as the High Court had ignored the relevant material in the case. He also said the same judge had in February this year denied him bail on the ground that he was facing trial for several heinous offence and had also been convicted in ten serious crime cases. 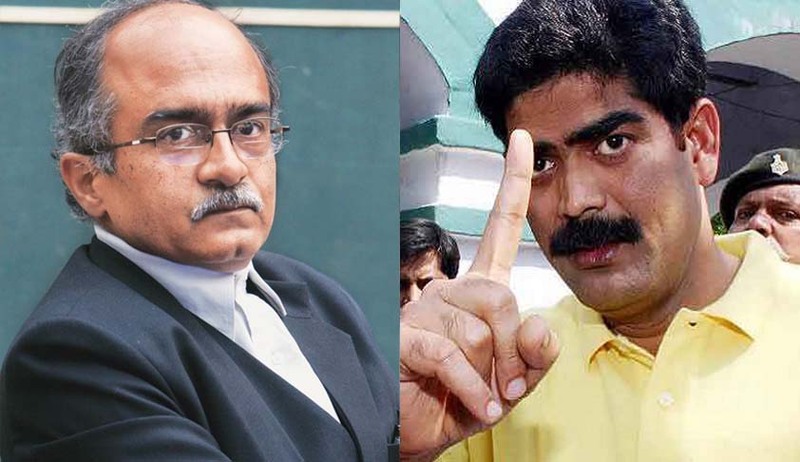 Earlier, activist lawyer Prashant Bhushan who is the main petitioner representing Chandrakeshwar Prasad of Siwan, whose three sons were murdered allegedly at the behest of Shahabuddin and is seeking cancellation of bail granted by Patna HC argued that Shahabuddin was a "class A historysheeter who could threaten intimidate and even eliminate witnesses in cases pending against him if he continued on bail "given in the most casual manner by the Patna HC". Bhushan contended that there was “total non-application of mind” on the part of Patna High Court which granted the bail on September 7. Bhushan said in the petition that it was strange that the Patna HC decided to grant bail to Shahabuddin when he was convicted and sentenced to life imprisonment for the murder of two of Prasad's sons, Girish and Satish, in Siwan in 2004 by bathing them in acid.